His love for the spoken word was conjured by the free poetry shows which he attended at an early age at the National Arts Festival. In 2011, Bhodl’ingqaka, garnered enough material, courage and confidence to start performing publicly. “I had a conversation with my notepad. I felt like I needed to put the words that I harboured inside me from a young age on paper. In that moment I felt no more inferiority complex, no more taking myself down”, he explained. 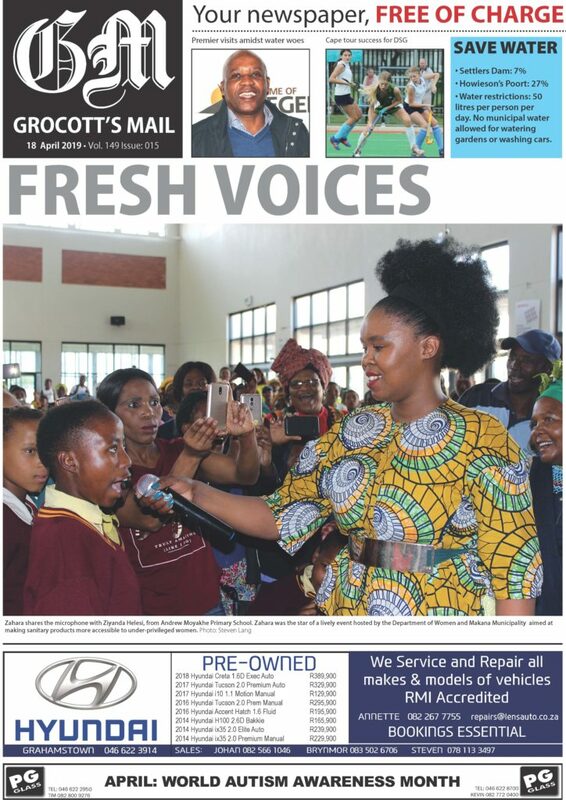 star graced Port Elizabeth community at the Ndlambe Music Festival. In previous years, the praise poet performed izibongo in praise of James Matthews, the late Saba Mbixane, Xhosa novelist Professor Peter Tshobisa Mthuze and even the Xhosa king, Zwelonke Sigcawu. Bhodl’ingqaka has also shared a stage with prominent South African storytellers, comedians and music groups such as The Soil, Loyiso Gola and Mam’Gcina Mhlophe, to name a few. 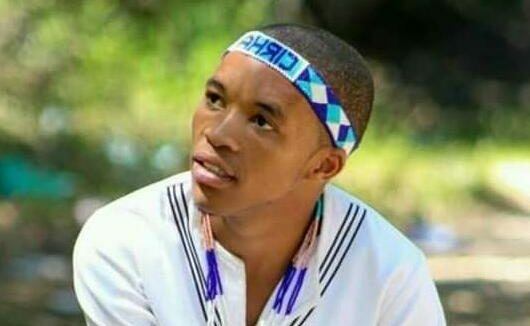 In 2017, he released a 10-track musical poetry album, entitled Iintonga Zetyendyana which in English translates to “the sticks of a young boy”. The album was recorded at the world renowned International Library of Music at Rhodes University. It provides a narrative of his life in Vukani, with reference to social injustice, local community issues and lost love. He has collaborated with afro-soul songstress, Nombasa Maqoko on a song that is making waves in local musical charts entitled sasingobani. Nkwinti. “When I met him, I would say that was the part in my life that I feel was enhanced and it was given fruits and encouraged to grow more in many platforms”, he further explained. According to the star the line that got him banned was “sizenzile masingakhalelwa kuba sawuyeka umhlaba wazama-zama wazuma eshosholoza ngomtshini wakhe namhlanje usibethe ephangweni”. “No one approached me and asked me what does the line mean”, the poet said in his defense. Bhodl’ingqaka further added that his aim was not to be disrespectful towards the president, however he wanted to address or show that the reason why the country was in turmoil was because of the former president’s corrupt ways. “I was speaking directly to the president as a poet as I have the authority to say, to demand and command that this and that cannot happen because we were given a license as poets to speak about issues”, Bhodl’ingqaka explained. Dr. Mhlobo Jadezweni from the School of African languages and literature at Rhodes University shared his thoughts on the matter. “Traditionally, a praise poet has the right to speak using izibongo and figures of speech in a tactful manner to address issues of the nation that have or need to be rectified,” Jadezweni said. “This is because praise poets are the voice of the nation. Although they have this right, it does not mean that they should use it to speak harshly or in a harsh manner,” he added. He went on to explain that praise poets should speak in a tactful manner that shows respect and to show that they respect their language and their nation. According to Bhodl’ingqaka, they (him and the Department of Arts and Culture) have since buried the hatchet as the Department invited him to perform at the opening of the National Arts Festival in June last year. 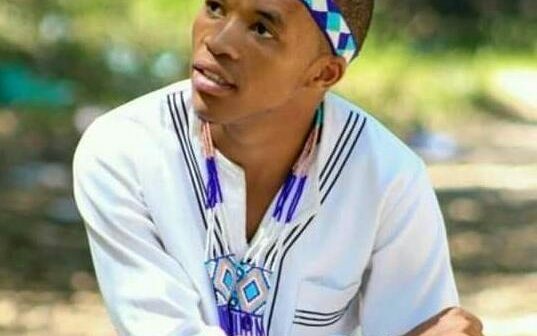 The ban did not stop the rising star from spreading his wings as he is currently working on his second album entitled Mandingathuli, produced by Elijah Madiba at the International Library of Music (ILAM). The album touches on social ills and environmental affairs. “Many people have died through the chains of silence”, said Bhodl’ingqaka. He explained that with this album he aims to raise awareness about the importance of breaking the silence about socio-political issues and issues of love. To honour his mentor, Bhodl’ingqaka started a theatre company called the Steader Nkwinti legacy that is aimed at developing and nurturing young and upcoming artists in the creative arts. According to the poet, the company is planning on showcasing four productions in this year’s National Arts Festival including We have no choice, Befile nje basathetha and Ingoma play that won the Standard Bank encore award highlights the beginning of the youth uprising in Grahamstown in 1975 at Nathaniel Nyaluza High School. These three plays were written and directed by Bhodl’ingqaka. The fourth production that they will be showcasing was written and directed by the late Nkwinti, entitled Yima, bheka ubone. According to the poet, he also wants to “play a part in social cohesion” by uniting people through art and to combat crime and substance abuse in the community through the development and nurturing of young people’s talents or skills. He is hoping to achieve this through the Vukani festival which he established in December 2018. The festival features storytelling sessions, poetry, music, and dance workshops. “I hope to grow this festival into a large landscape”, he explained. He is appealing to companies for assistance in achieving this goal.